“The Ust-Donetsky radar picked up no foreign objects near the Malaysian plane which could have caused its destruction,” said Viktor Meshcheryakov, the company's chief radar designer. Gen. Andrey Koban, the head of the Russian Air Forces' radar troops, said the Russian civilian radar easily located an Orlan-10 surveillance drone circling closer to the Russian-Ukrainian border over Russian territory at the time of the incident. 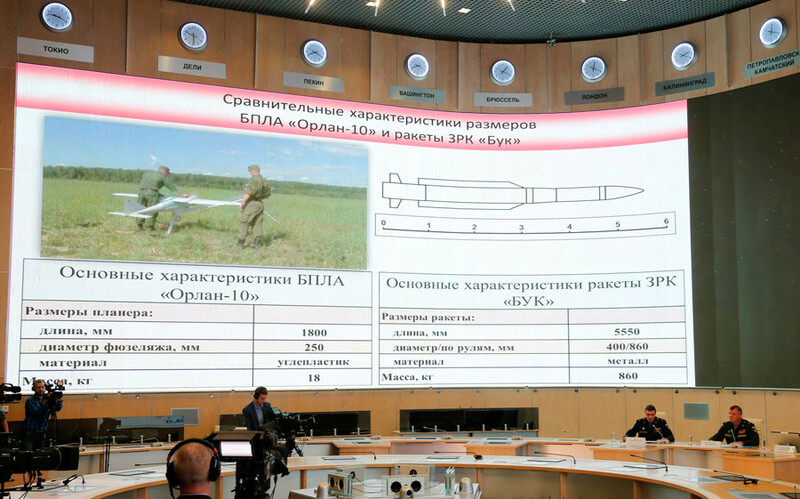 A Buk missile would have been easier to detect than the drone, he said. The Russian military said Ukraine's refusal to publish its radar data, the positions of air defense batteries it had deployed in the area, and communications between MH17 and the Ukrainian traffic controller directing its flight towards the rebel-held areas in eastern Ukraine, made it look suspicious.